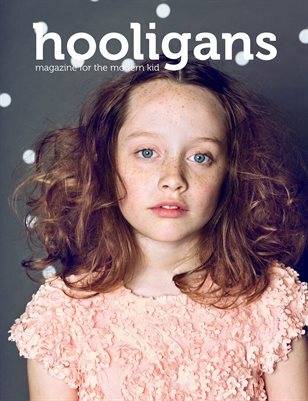 Hooligans is a magazine featuring children’s fashion, art and design. This quarterly print publication is full of editorials shot by talented photographers from every corner of the world. We are also highlighting innovative products, the best in interior design and art- all for children! With this publication we want to serve the trend setting, free spirits across the world. Join us in the quest of bringing innovative art and fashion to all parents and children.